There are tons of Jeep Renegade accessories in the market for this vehicle. Below you will see the accessories that are available in our Jeep Renegade online store. 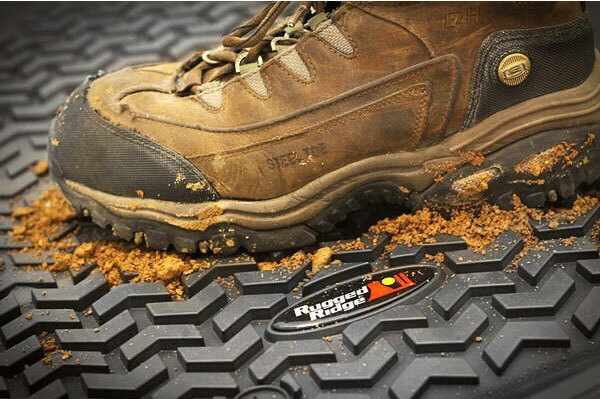 Most of the accessories mentioned are offered by Rugged Ridge and RT Off Road brands. 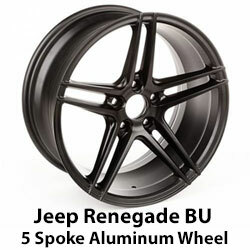 Jeep Renegade Wheels: Enhance the exterior of your ride with these aluminum wheel upgrade. 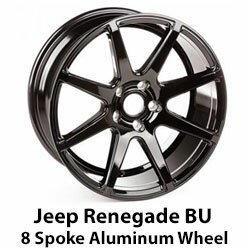 Rugged Ridge Jeep Renegade aluminum wheels are lightweight aluminum alloy and a sturdy one-piece construction merge for a wheel that performs as nicely as it looks. Wheels are available in 5 or 8 spoke and feature a stunning satin black finish. Jeep Renegade Light Guards: Designed for unique styling and protection. Currently, euro guards are available for headlights and tailgate. Rugged Ridge Euro Guards are made from durable steel that is treated to a distinctive black textured powder coat for a finish that will stand up to the elements and whatever the highway may throw at them. Each kit is sold as a pair. Super easy to install using double-sided automotive grade adhesive. Jeep Renegade Floor Liners: Rugged Ridge floor liners will provide ultimate protection against dirt and grime and is the affordable solution to keep the cabin floors of your vehicle looking factory fresh. Black floor and cargo liner kit features a durable OE-quality thermoplastic material that can withstand the rigor of daily abuse, each liner is perfectly contoured to your vehicle’s floor for precise secure fitment (floor hook attachment where applicable). The raised lip captures all spills, water and debris keeping your interior pristine. 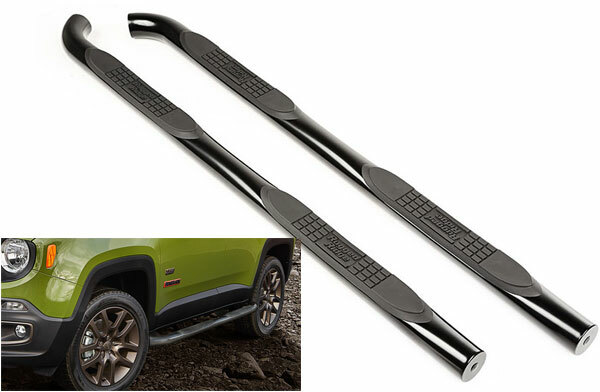 Jeep Renegade Side Step Bars: Rugged Ridge engineered these side tube step bars for convenience and style.Sold as a Pair. Each Tube Step Features special UV treated no-slip step pads with 5 mounting pins. These step pads are pre-installed on top of the tube, no exposed metal to rust. Side steps carry a 300lb max weight limit. 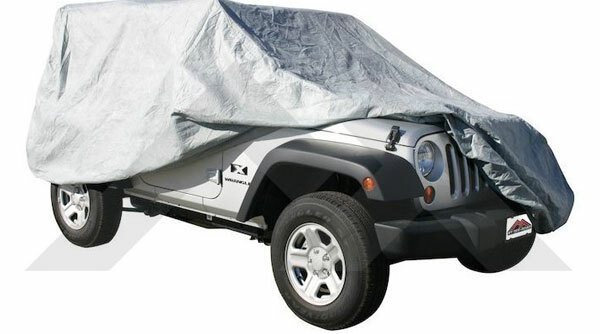 Jeep Renegade Full Car Cover: RT Off-Road Full Covers are designed to protect the vehicle from sun, dirt, dust, moisture and pollution. The 3-layer water resistant cover accomplishes this while also being breathable enough to reduce moisture and temperature buildup. In addition to accessories we also have Jeep Renegade Parts. These replacement part includes radiators, bumper accessories, brake parts, struts, TPMS sensors, Jeep Renegade License Plate Bracket and tons more. This entry was posted in Jeep Renegade BU and tagged 2015 jeep renegade, 2016 jeep renegade, 2017 jeep renegade, jeep renegade accessories. Bookmark the permalink.